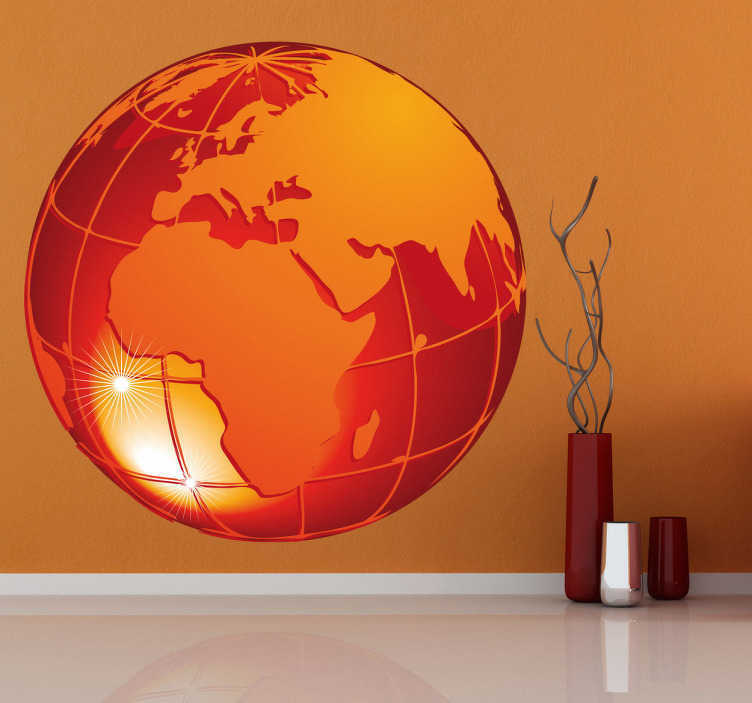 Wall Stickers - 3D illusion of a warm red and orange world globe. Distinctive feature in any room, suitable for the home, business or schools. Available in various sizes.